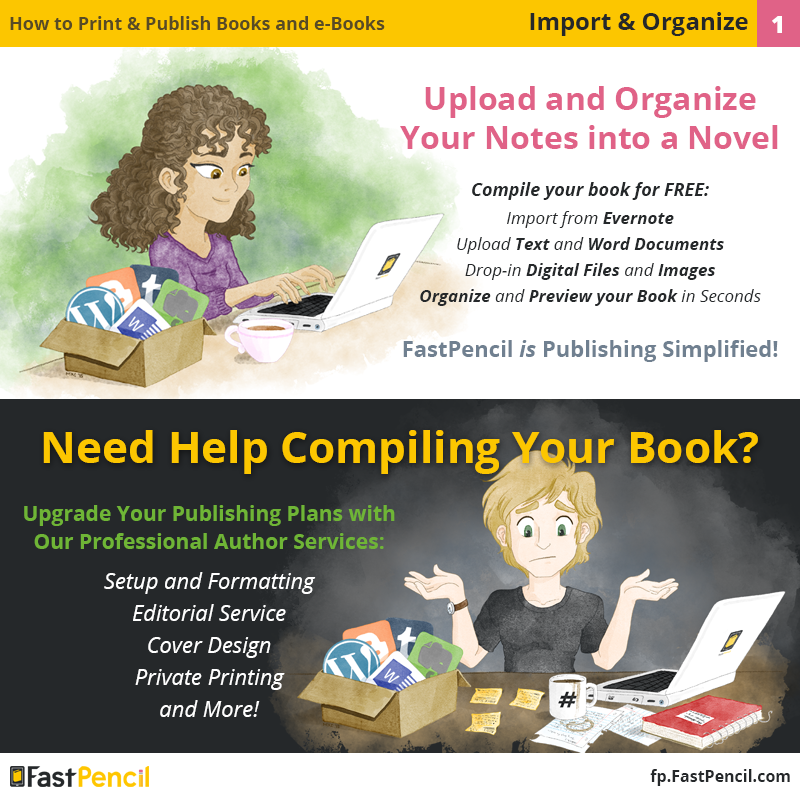 FastPencil is book publishing software that allows authors to write, publish, distribute and sell print and eBooks! We have removed the hurdles inherent in traditional book publishing by combining amazing advances in technology with a sophisticated online workflow system for both print books and e-books. Our unique platform showcases powerful technology that makes it possible for anyone to publish a high-quality book. Not only is it as easy to use as any word processing software, but it provides features like revision control, text styling, and collaboration capabilities. Regardless of the type of book you’re writing, you need feedback as you create. When authors have ready access to friends and collaborators, the writing and editing process is faster and easier. At any point in the writing process you can connect with like-minded people, share knowledge, gather feedback from reviewers and editors, and collaborate with other authors, all without leaving FastPencil. FastPencil offers a wide range of Author Services designed to fit your needs and budget. Whether you need an editor, cover designer or just a quick manuscript review, we have an assortment of Publishing Packages and a la carte services to help. Visit author services. WIDE DISTRIBUTION PUBLISHING - $249 (DIY 1, one format) or $299 (DIY 2, for both print and eBook formats) - Titles published with Wide Distribution will be available for 3 years on Amazon, Barnes and Noble, Kindle, iPad, Nook, Ingram, etc. After the first 3 years there is a $19.00/year catalog fee to keep your book in distribution. Your book will be available for sale on the FastPencil Marketplace at your chosen retail price. Author-cost book buying is available, too. When ready to publish, the author clicks the Setup Publication button and is taken through a wizard to fulfill the metadata information for the publication. This data collection includes Title Page Info, a Description, Formats (Print and/or eBook), Cover Setup, Pricing, Proofing, and more. This metadata will be paired with the book upon distribution. 1. An Author Page. It lists his/her bio and other books that have been published with FastPencil. 2. A Book Buy Page. It lists the Book, Metadata, and a Preview of the Book. 3. A Book Buy Widget. This is an HTML Coded Web Advertisement meant to drive traffic back to the Book Buy Page.